A rare and choice herbaceous perennial, worthy of a place in any garden. Globular, thistle-like, silvery-white flowerheads on red stems with Silvery-green, slightly spiny, deeply dissected leaves. 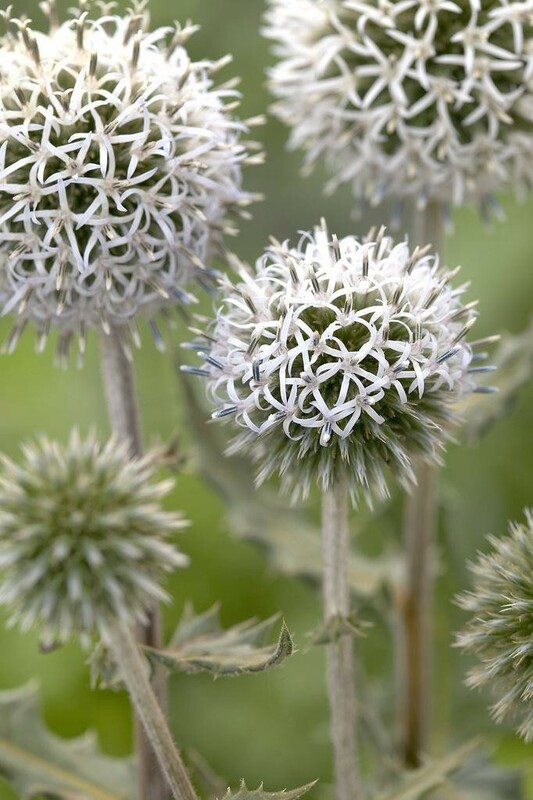 Echinops are undemanding plants that tolerate a wide range of conditions but do best in poor soil and full sun. They form large architectural plants which require some space. The flowers are made up of a ball of spiny bracts and attract large numbers of bees and butterflies. They also make good dried flowers. Supplied in a 2-3 Litre container.